Lauritz.com - THE WORLD CLASS MILAN DESIGN WEEK IS ON! THE WORLD CLASS MILAN DESIGN WEEK IS ON! At both Lauritz.com and Stockholms Auktionsverk we are proud to collaborate with Swedish Form on their brilliant exhibition Hemma Gone Wild, showcasing Swedish design at its best right now in Milan. The exhibition is curated by talented Joyn Studio, and it is promoted by Dezeen, the leading international design magazine, as one of the most spectacular ‘Go-see’ events now during Milan Design Week. Our own Mette Rode Sundstrøm, co-owner of Lauritz.com, was on the spot as guest speaker at the opening of Hemma Gone Wild. 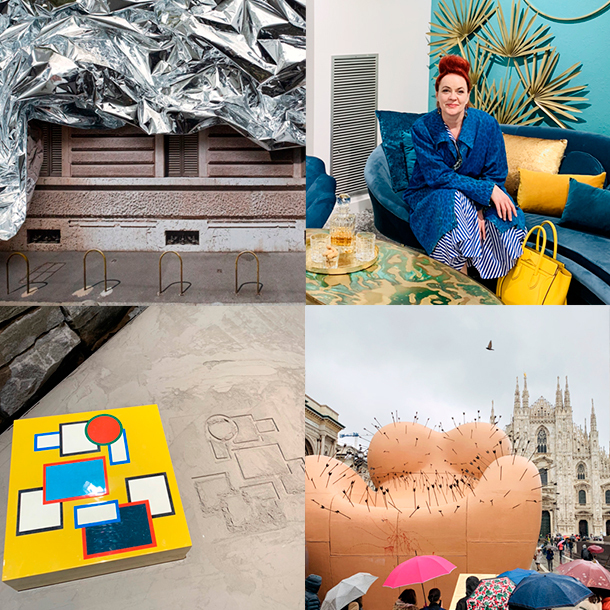 If you are a design lover, check Instagram for inspiration: @milan.design.week, @isaloniofficial, @fuorisalone, @Svenskform, @beckmanscollegeofdesign, @hemmagonewild and @metterodesundstrom.